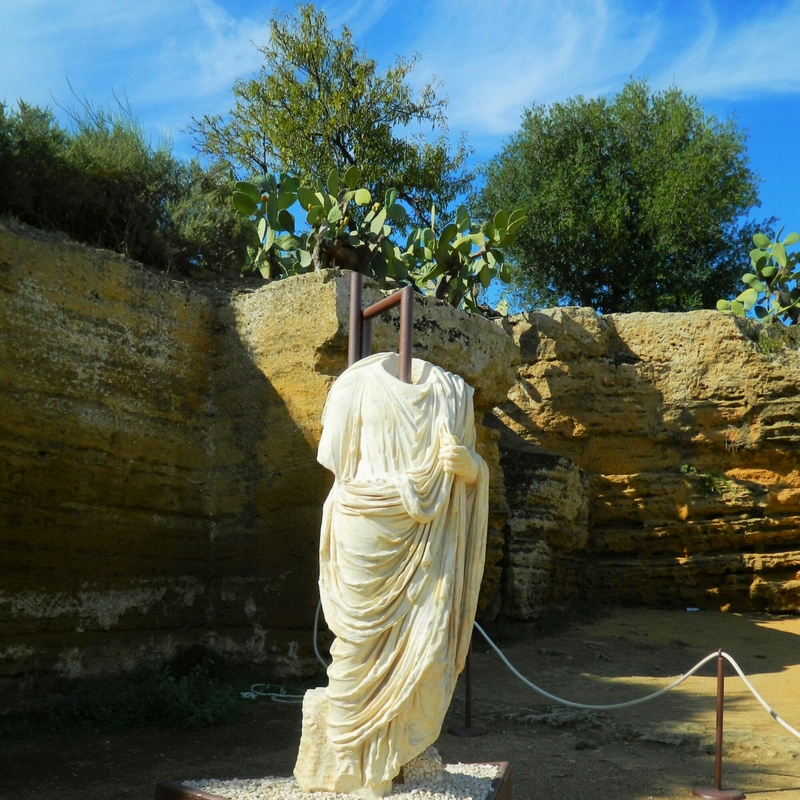 This torso is part of an exhibition at Valley of the Temples in Agrigento. It displays findings from an archaeological excavation of the Roman forum that was conducted between 2012 and 2014. Now, imagine that you spent a lot of time and money creating this statue of the current governor or prefect. Then imagine that after his term ends, a new governor comes in to power. What do you do with the statue of the former governor in which you’ve invested so much? Well, you swap out the old governor’s head with the new one’s, of course! Yes, that’s right, sustainability was practiced in ancient Rome. And that is why we have a lot of headless torsos.